Keratin treatment is definitely the best solution for unmanageable frizzy hair and the best place in town to get it done is Hair Station The Castle, Punjabi Bagh. With amazing interiors and the most enthusiastic team of hair stylists, this salon offers an excellent range of services including nails, pedicures and manicures, hair treatments - colouring, spa, shine bond, and lots more. 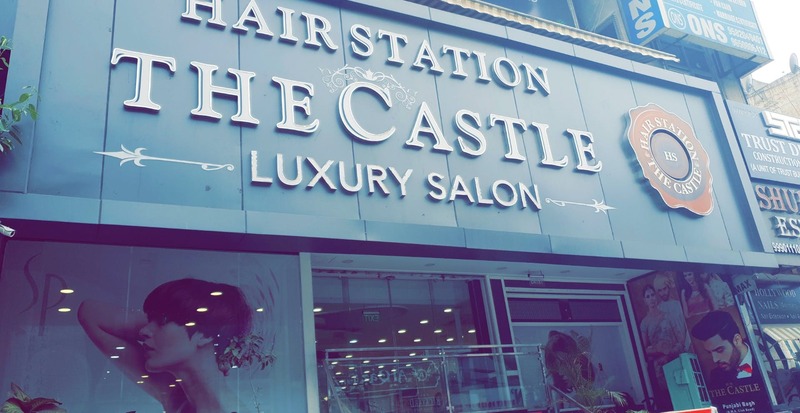 True to its name, this place looks like a castle and extends its services to both men and women. I was overwhelmed with their hospitality but they need to work on their prices. I thought the prices were a bit too high but the services are amazing so I guess it's worth it.